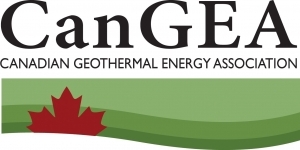 The Canadian Geothermal Energy Association (CanGEA) is the collective voice of Canada’s geothermal energy industry with a focus on the power generation from geothermal energy resources and industry-scale direct use. As a non-profit industry association, CanGEA represents the interests of its member companies with the primary goal of unlocking the country’s tremendous geothermal energy potential. Geothermal energy can provide competitively-priced, renewable, round-the-clock energy to the Canadian and U.S. markets. CanGEA’s mission is to accelerate Canadian exploration and development of geothermal resources in order to provide secure, clean, and sustainable energy. Through CanGEA’s advocacy efforts, geothermal energy is now recognized and eligible for federal funding and tax incentive programs. Moreover, CanGEA continues to be the leading geothermal energy public outreach and educator in Canada, with several new exciting initiatives planned.